I LOVE ROBOTS. I LOVE SCI FI. I LOVE DRAWING. It was only a matter of time before these three loves would come together in one awesome project. 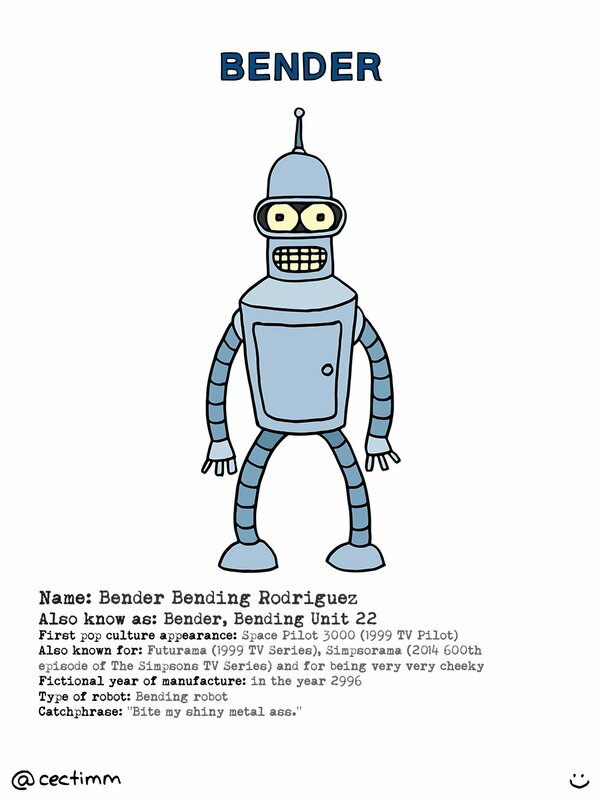 Bender is a very cheeky industrial metalworking robot built in 2996 and is a leading character in Matt Groening’s much-loved Futurama (1999 TV Series). He was made in Fábrica Robótica De La Madre (Spanish: “Mom’s Robot Factory”), a manufacturing facility of Mom’s Friendly Robot Company in Tijuana, Mexico but he ends up living in New New York City working with his friends, the crew of the Planet Express delivery space ship. 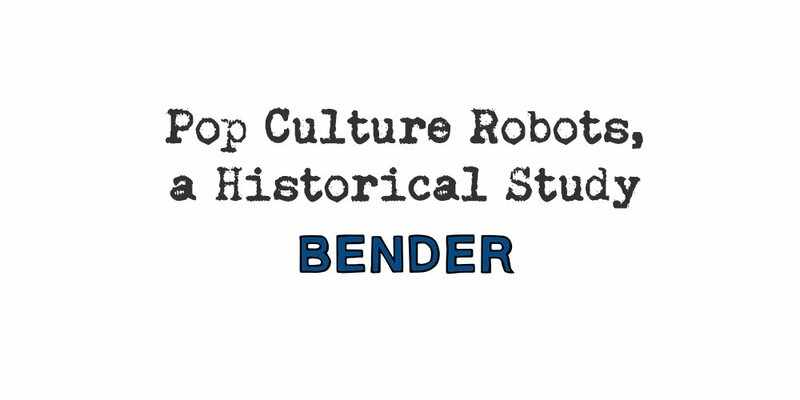 Bender’s wit and disregard for humanity doesn’t get in the way of eventually looking out for his friends. If you haven’t already watched Futurama, then do yourself a favour.